I call them the days in a bubble, those days ranging from Christmas to New Year’s Eve. They have soft edges, they pass by slow but disappear quickly. I’ve always been lucky, first at school and then at work, as I’ve always had the chance to spend those days on holidays at home, like in a bubble. After the festive meals, your relatives, your aunt’s kisses, gifts to wrap and unwrap, the mistletoe, the lights, the long happy tables where there’s always room for an extra chair, the round of greetings, the mass on Christmas morning with the chill outside of the church, the greeting cards, the phone calls and the messages, the icing sugar of a soft pandoro, the candied fruit of a panforte, the bags of frozen cappelletti that disappear into a bowl of steaming broth, the crackling fireplace, the smell of ragù that clings to your clothes, Last Christmas and Jingle bells, eventually, after all this, come the days in a bubble. It is like living in another dimension or in a misty countryside. Christmas was just a few days ago, but if you turn back it has already disappeared, hidden by a veil of milky fog, you just hear remote chatters in the distance. In front of you New Year, spangles, sparkling wine, lentils and cotechino, bingo, kisses and good wishes, all still concealed from your view. Here they are, waiting for you, you can sniff the fireworks in the air, but you do not see them yet. The days in a bubble flow slow, but disappear quickly, they melt in your mouth like chocolate, leaving only the memory of a fragile sweetness. I spend hours planning and dreaming, scribbling down plans to conquer the world, my world, on new notebooks, gifts of precious friends. I browse through new cookery books and I get excited for the upcoming months of winter, cold and frost, when I’ll taste new flavours and I’ll make them mine. These are days to be spent in the kitchen to conquer new rhythms and good habits, such as cooking pots of beans and chickpeas in the wood fired oven or baking crusty bread for breakfast. When the evening comes, I just can’t figure out where the whole day disappeared: my head is full of stories and my notebook of ideas for the months to come, memories are mixed up with projects in a suspended time, my own time. In these days I like to eat as there’s always something new and important to celebrate, the time is mine and I use it to cook just for the pleasure of spending it in front of the stove. This new recipe, developed for Masi and Campfiorin 50, has appeared on our table in these days. The sausage ragù is a quick and clever alternative to the classic meat sauce you would make on a Sunday. It requires half the cooking time of a meat sauce made following all the rules, but it will bring in your dish all the richness and flavour of an timeless dish. 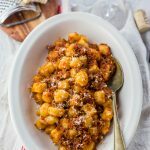 The homemade gnocchi, made with potato starch instead of flour, are naturally gluten-free, a soft pillow on which to rest dreams and spoonfuls of sausage ragù. Have you already decided what to cook for New Year’s Eve? These gnocchi with sausage ragu are calling you! Clean the carrot, celery and onion and chop them finely with fresh herbs. Pour the extra virgin olive oil into a thick-bottomed pot, then add the chopped vegetables and sautée on low heat for about 10 minutes, stirring often with a wooden spoon. Add the peeled and crumbled sausages and cook until they start to sizzle: try to break the sausage with a wooden spoon to crumble it into small pieces. Pour in the red wine and let it reduce for about 10 minutes on low heat, stirring occasionally. Add the tomato puree and the tomato paste dissolved in hot water. Cook on low heat for about an hour, checking it once in a while. Now prepare the gnocchi. 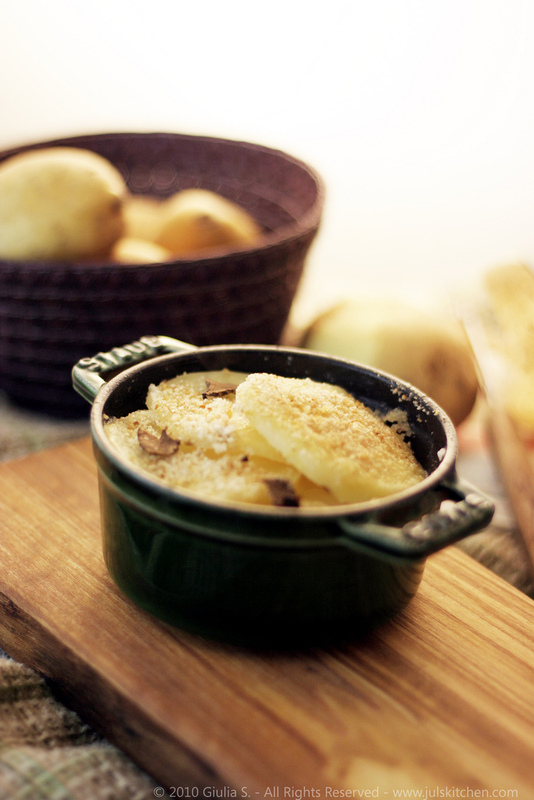 Cook the potatoes in boiling water until they are soft enough to be easily pierced with a knife. Cool them under cold water and peel them. Mash with a potato masher, collect the mashed potatoes on a wooden board and knead with a beaten egg, potato starch, salt and nutmeg until you have an homogeneous thick dough. With the help of some potato starch roll out the dough into 1 cm thick sausages, then cut them into small gnocchi with a knife. Cook the gnocchi in salted boiling water: when they float to the top collect them with a slotted spoon and move them into a bowl. Spoon the sausage ragù over the gnocchi, toss and serve with grated Parmigiano Reggiano. All my best wishes for a brilliant 2017! This will be the last post for 2016. I’m saying goodbye to you as I would do with an old friend: a quick hug and a silent promise to meet again soon. I will be back with a new blog post in a January full of promises. 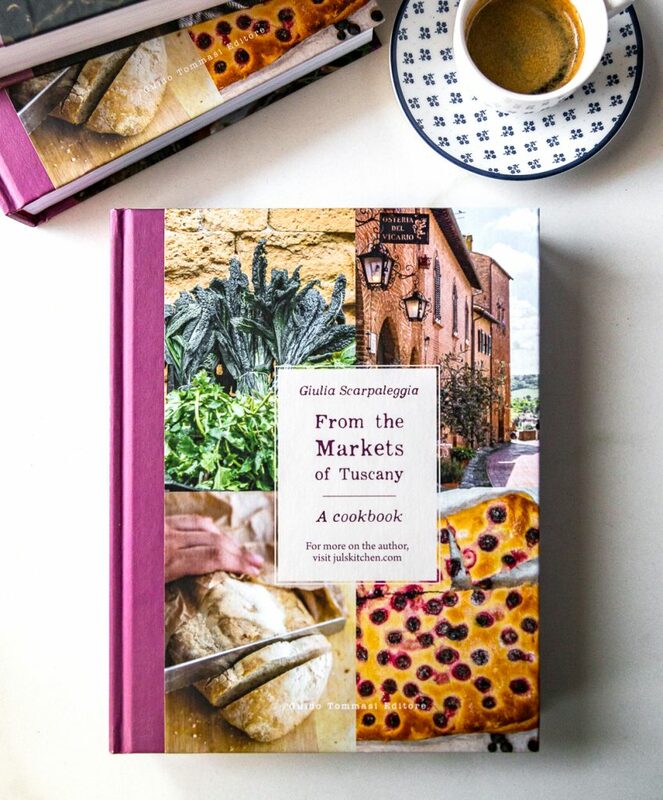 I will tell you about my cookbook, that finally, in a few weeks, will be released, there will be time for many new recipes, Tuscany stories and new experiences. Once again we will begin with a blank page, and I am already looking forward to start writing! What is its name in Italian? What do you mean by ” tomato purée” as opposed to “tomato paste”? Hello Michel, thank you! This recipe doesn’t have a precise name, I’d say gnocchi con il ragù di salsiccia. Tomato purée is a passata, a thin sauce, while tomato paste is a concentrato, a concentrate of tomato purée! Bubble or no bubble, you deserve some rest and relaxation my friend. I am very excited for your cookbook!